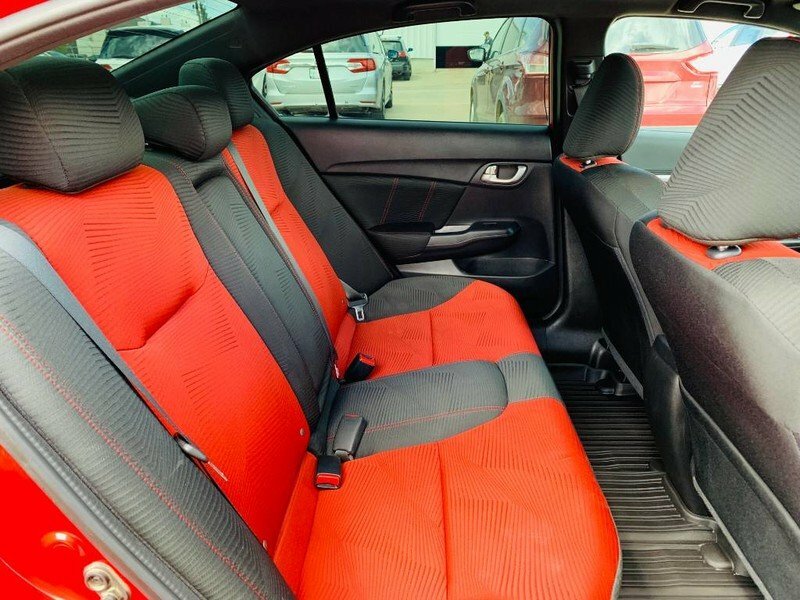 2014 Honda Civic Sedan Si- Two Sets of Tires! 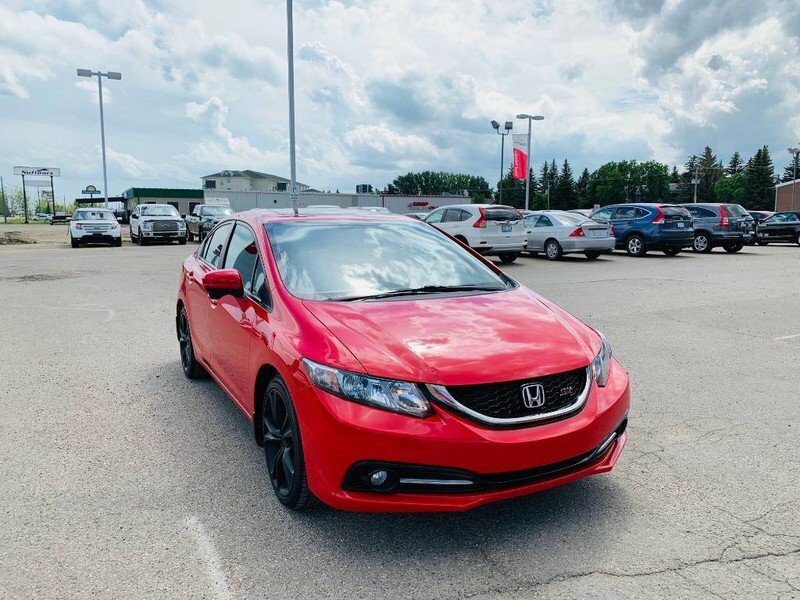 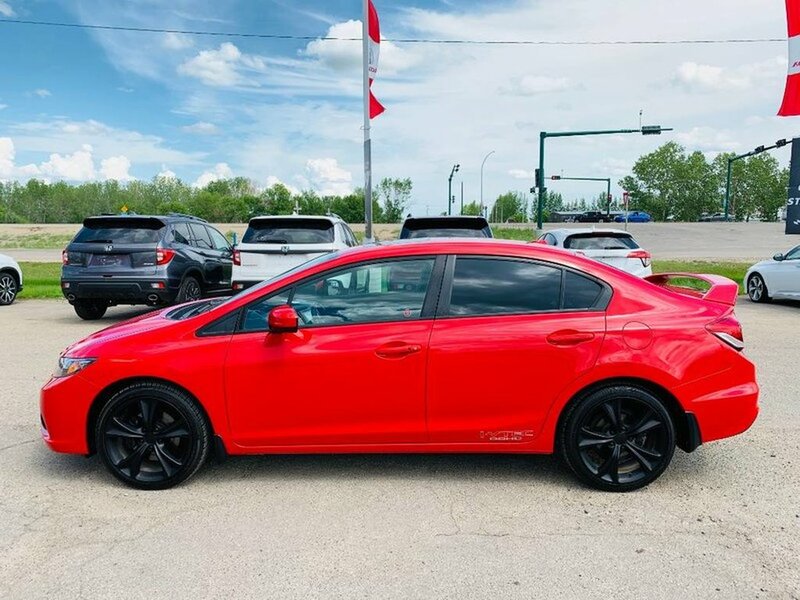 This 2014 Honda Civic Si has been well taken care of. 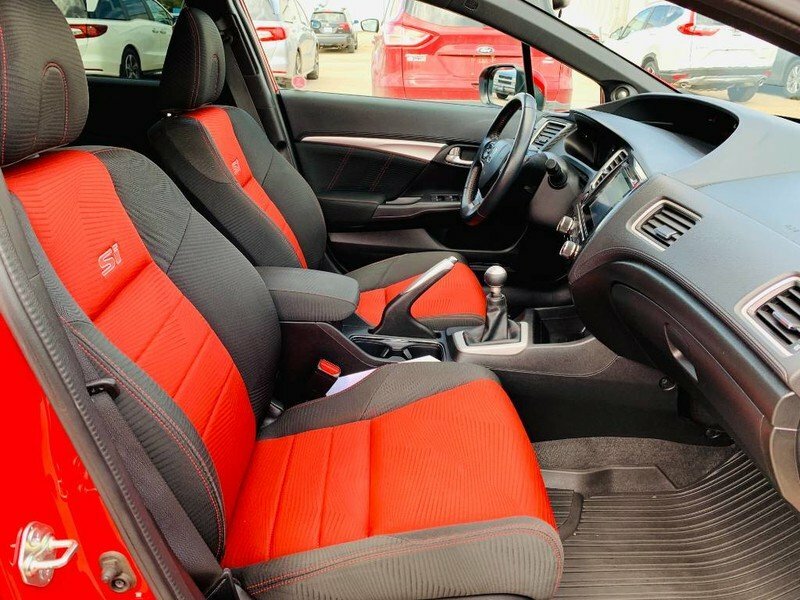 The “Rallye Red Pearl” exterior is in excellent condition paired with an odor free Black/Red cloth interior. 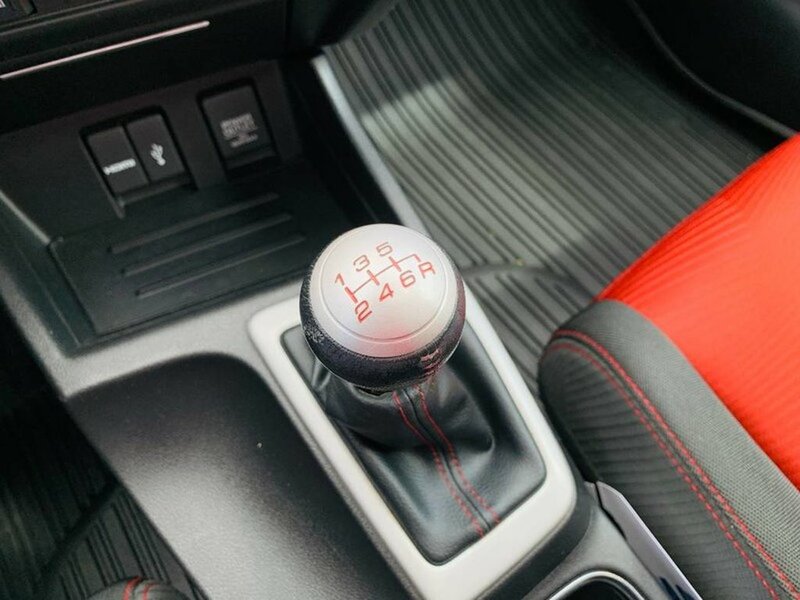 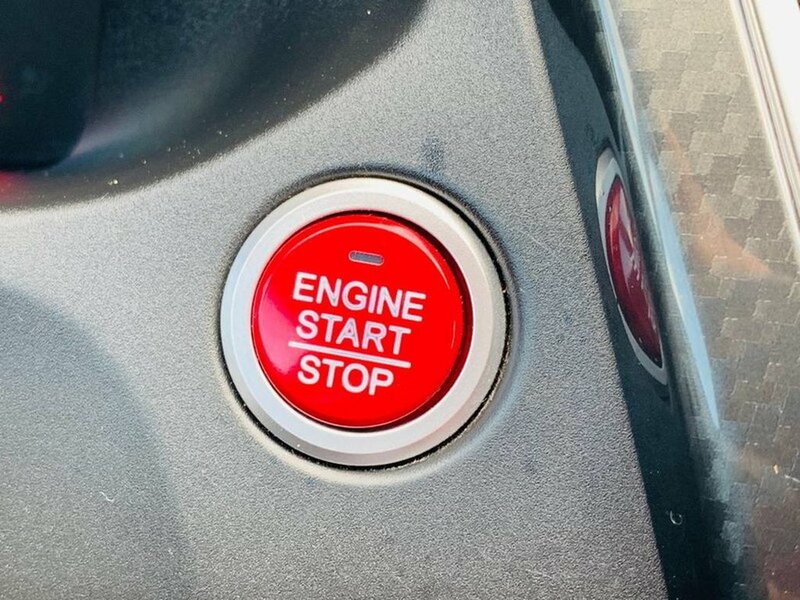 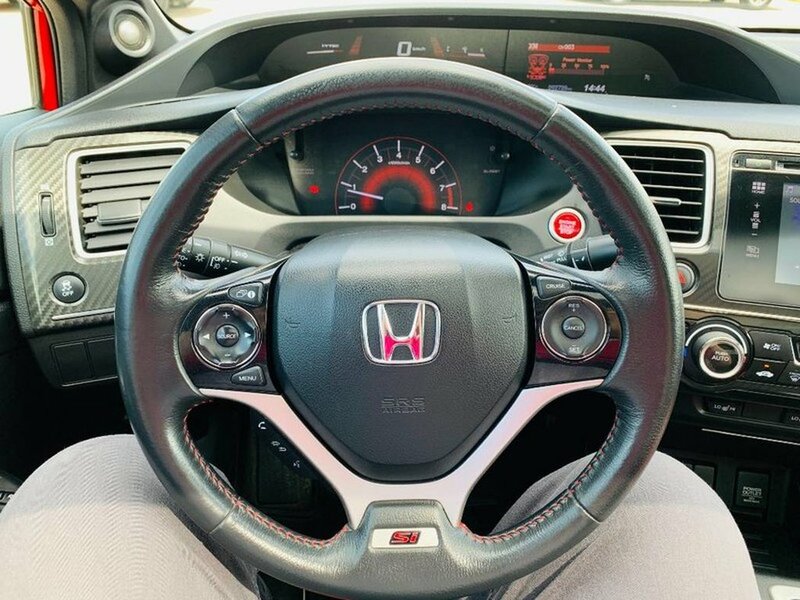 The 2.4L VTEC engine has lots of power to match your driving style while rewarding you with 7.6L/100KM on the highway if you can resist hearing the beautiful sounding VTEC kick in around 4300rpm. 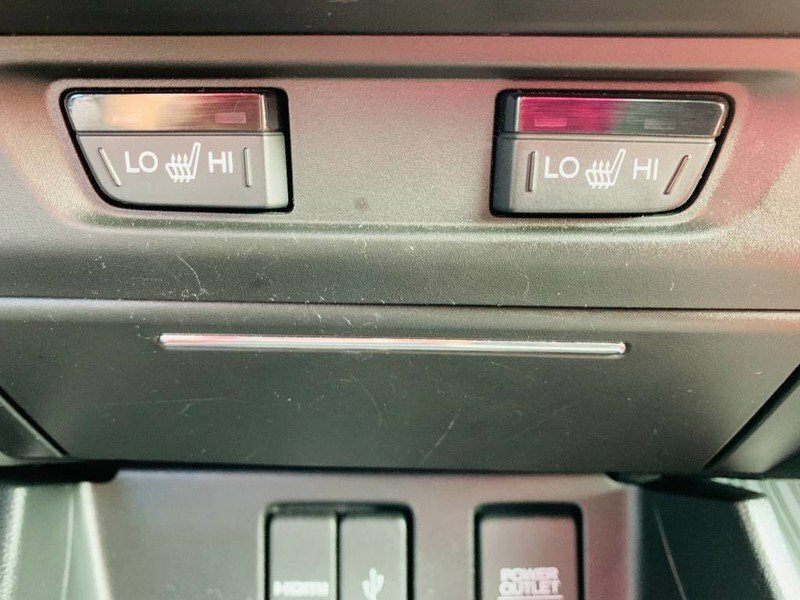 This unit has two sets of tires. 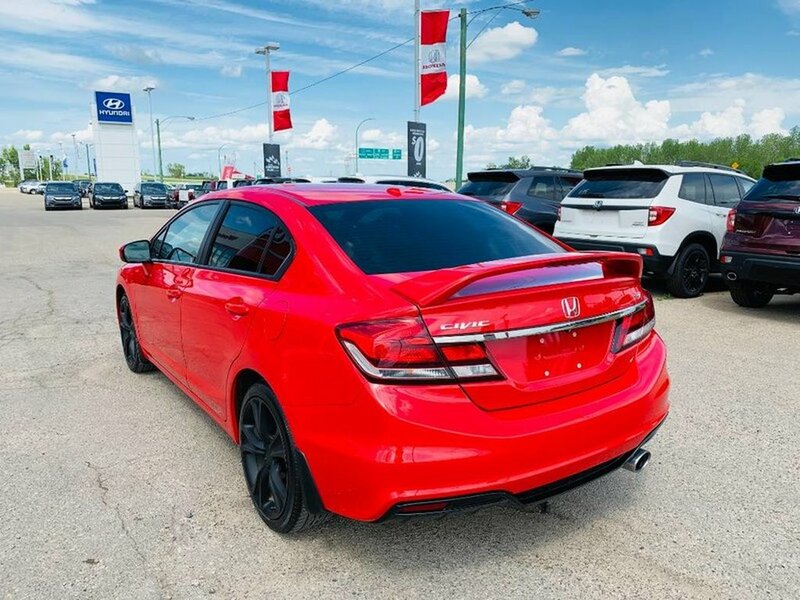 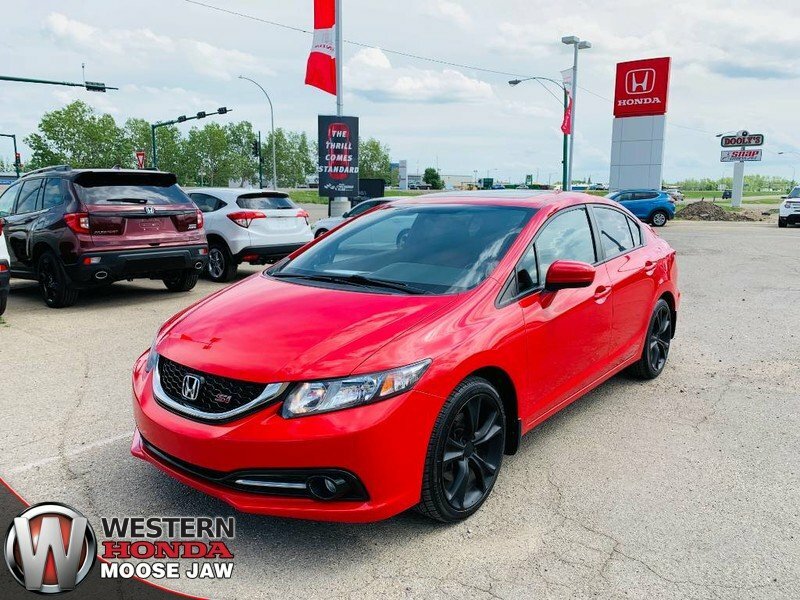 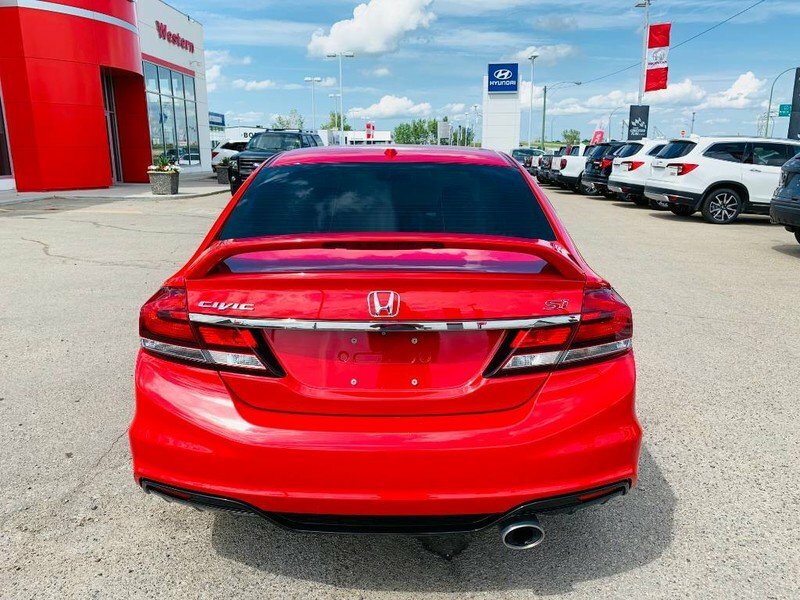 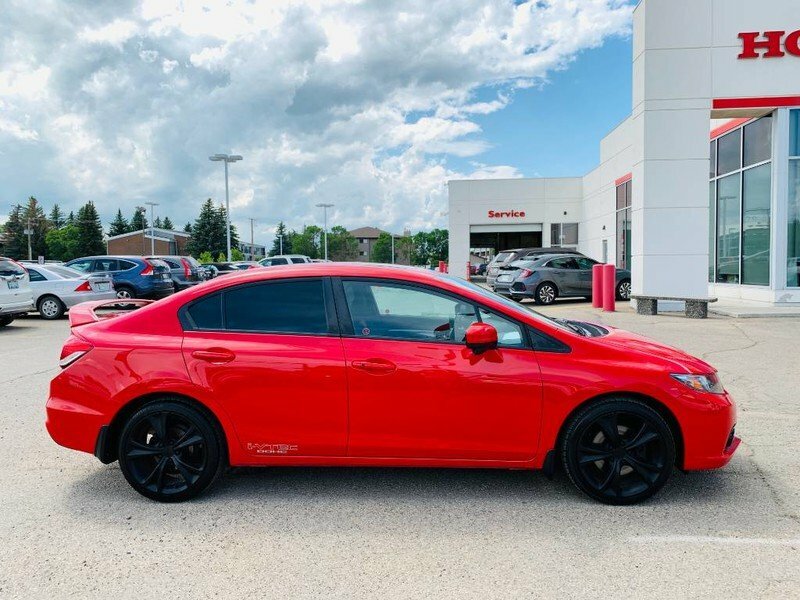 Check out the great-looking wheels, fog lights, rear spoiler and over-all athletic stance of our Honda Civic Si Sedan. 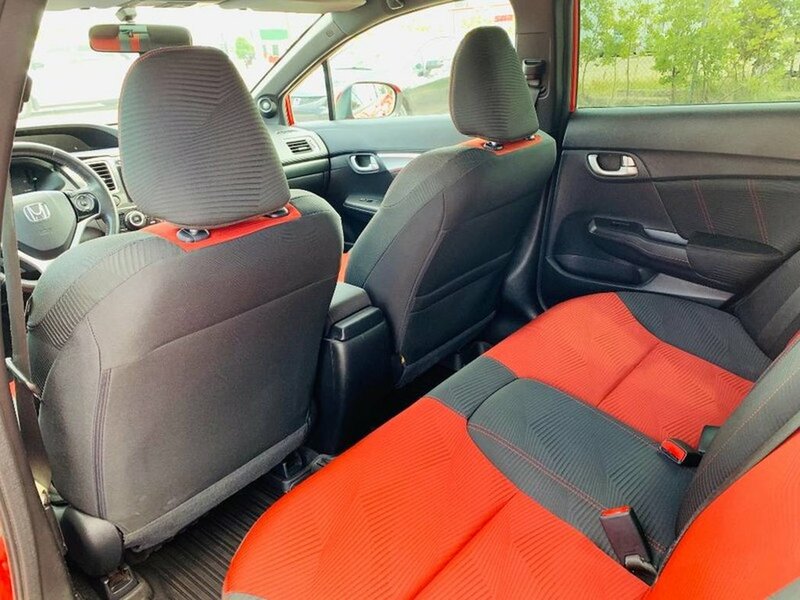 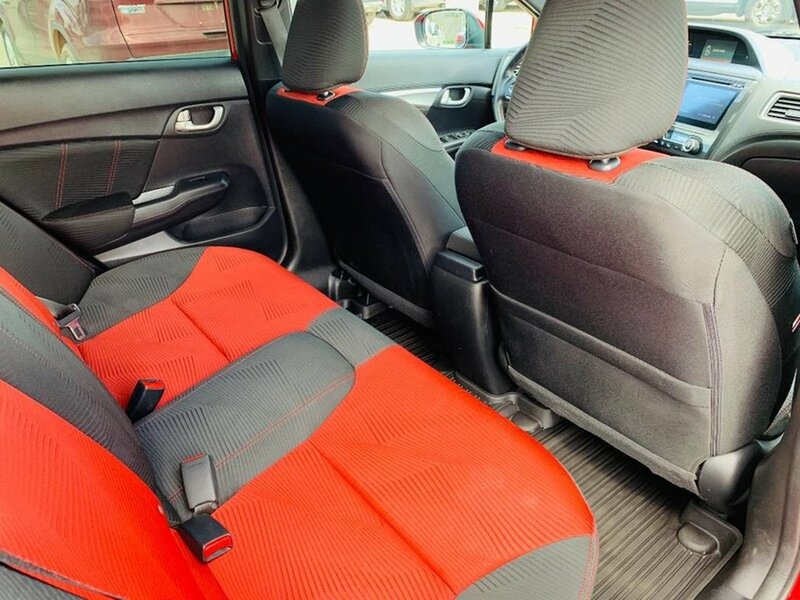 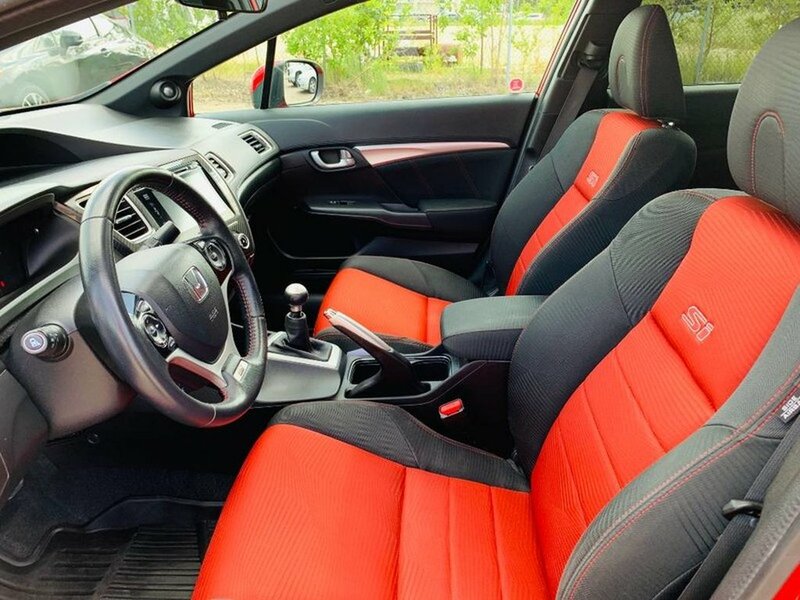 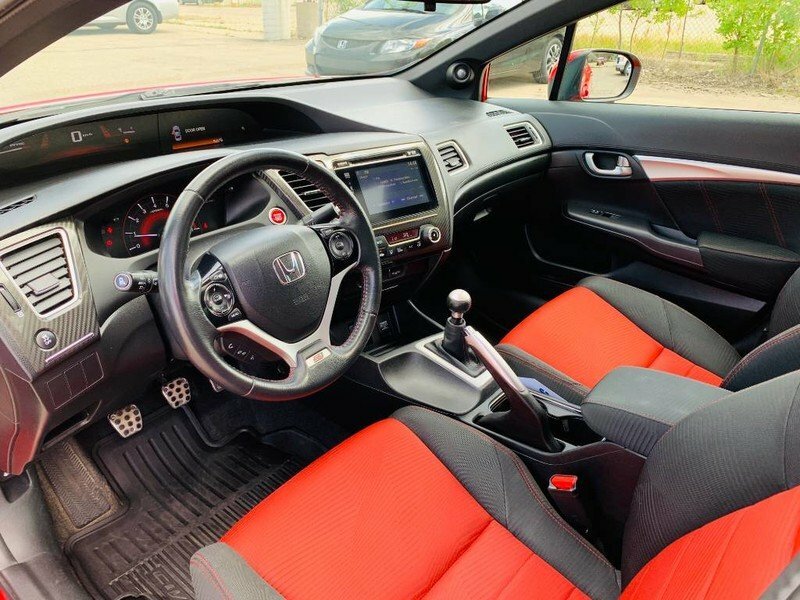 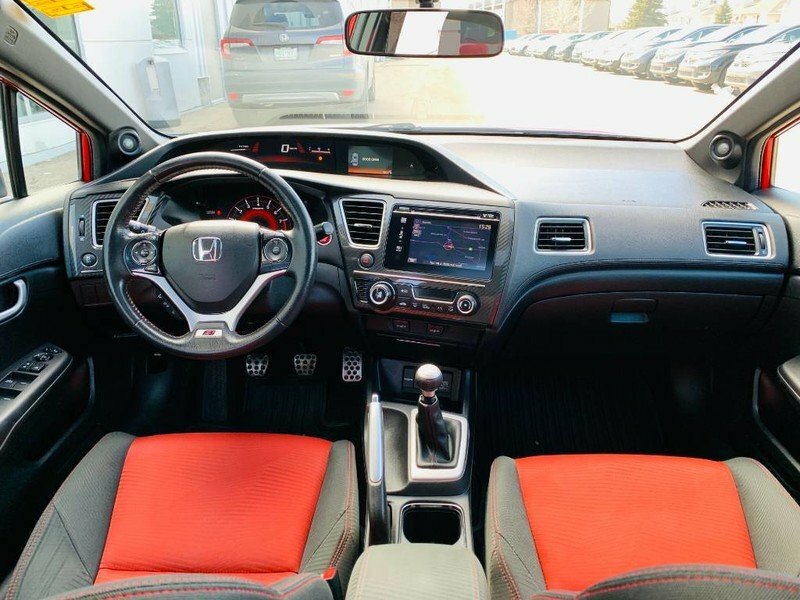 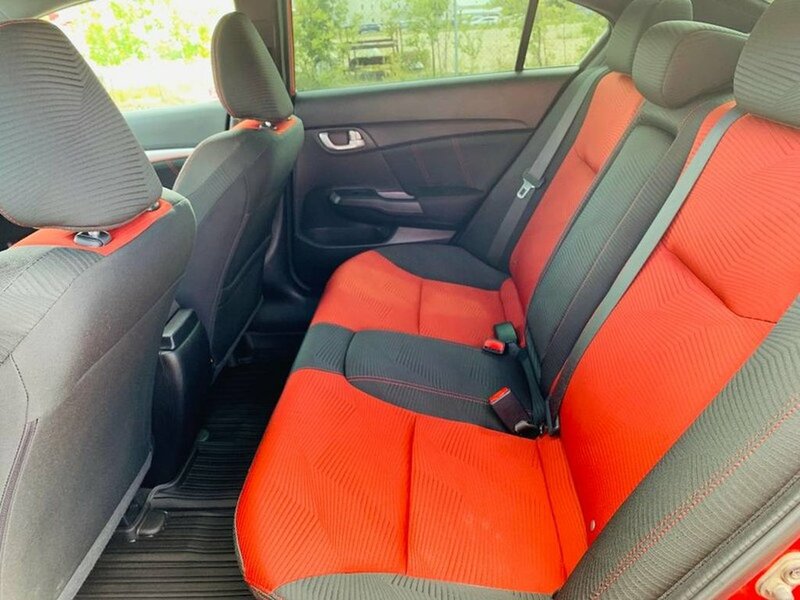 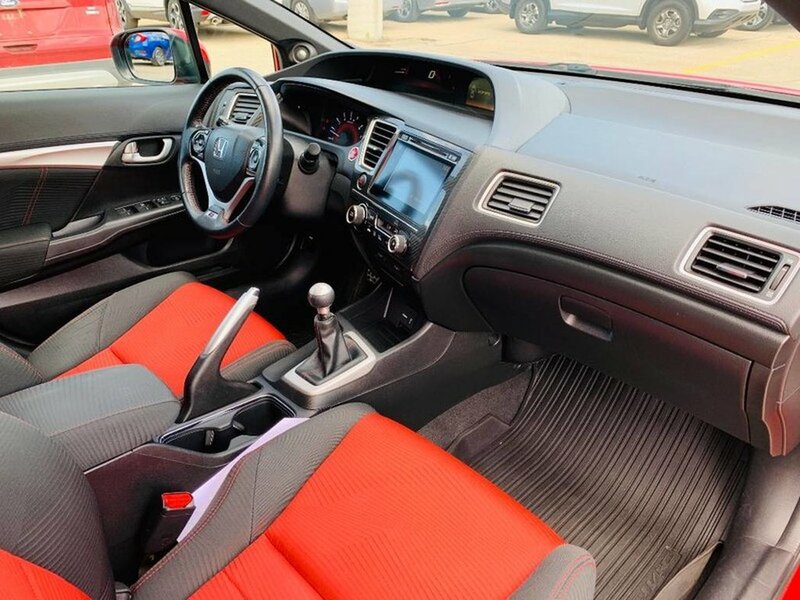 Get settled in the supportive sport seats that feel tailor made and admire the leather-wrapped steering wheel, aluminum shift knob, sunroof, backlit gauges, and textured aluminum pedals. 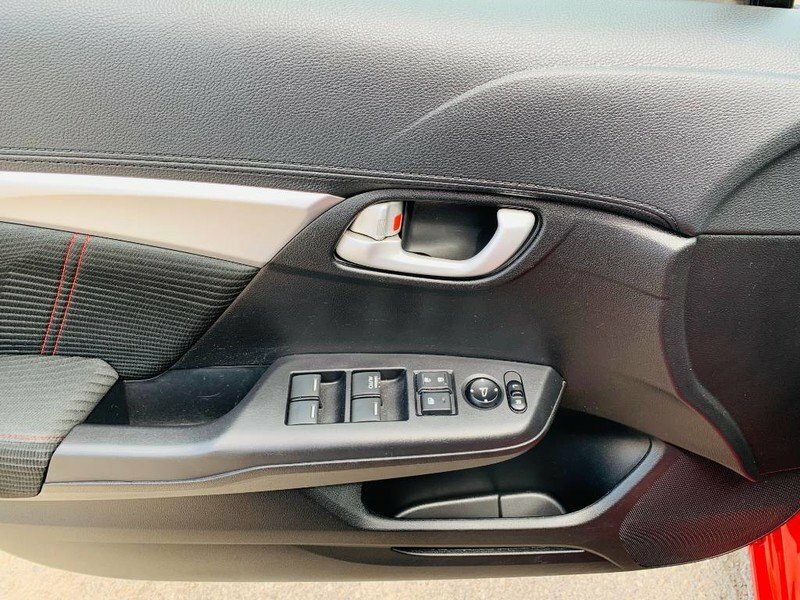 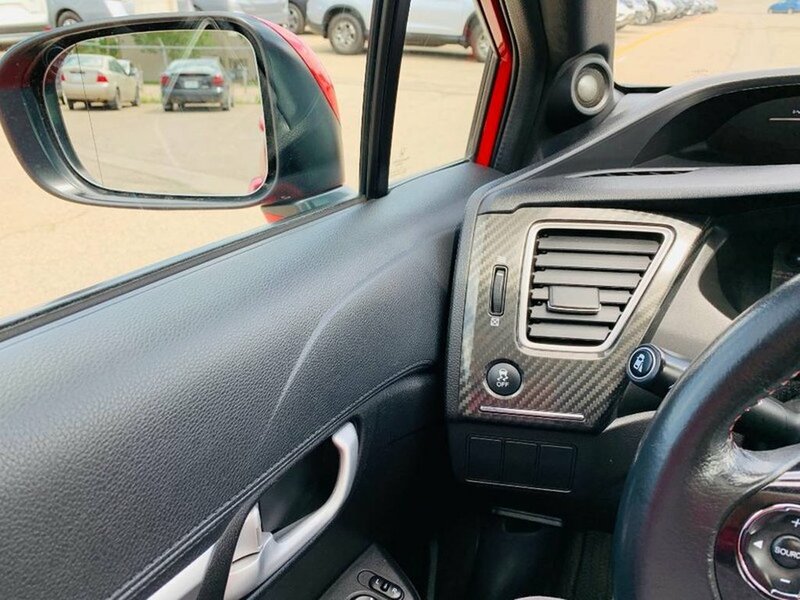 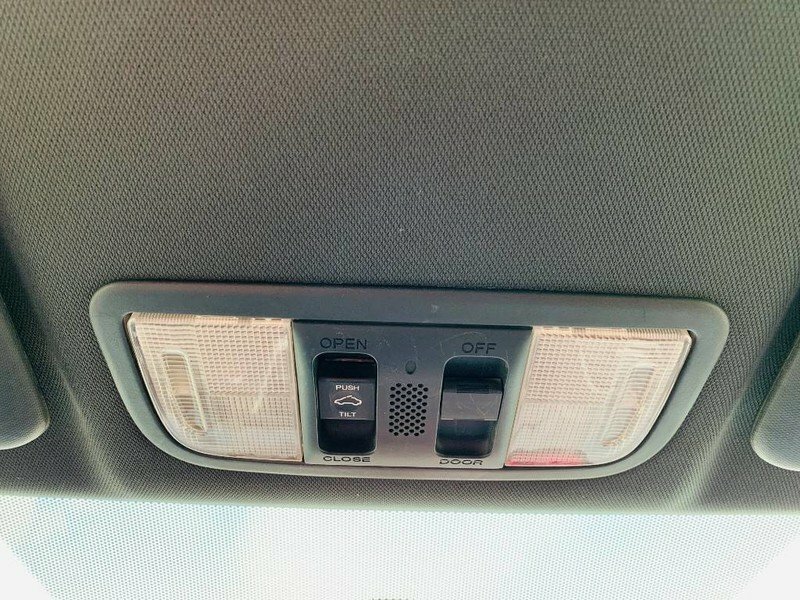 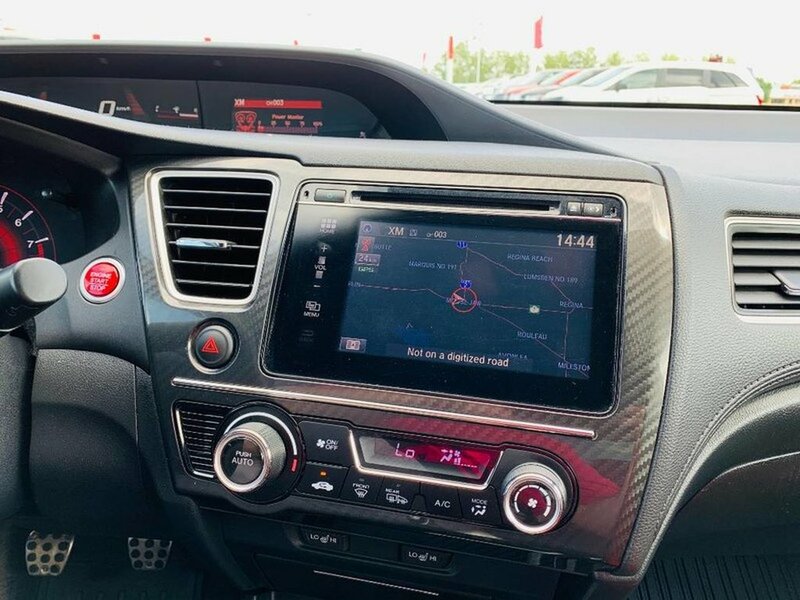 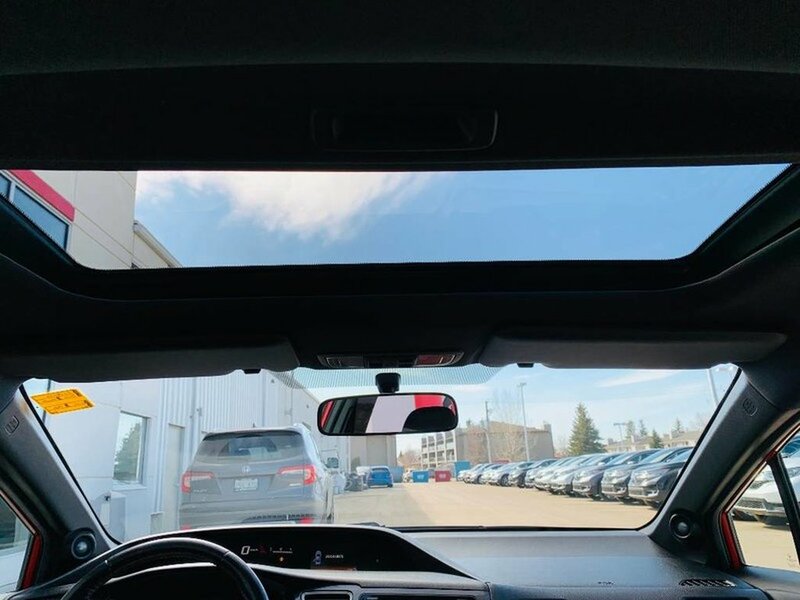 A wealth of amenities surrounds you such as a rearview camera, text message functionality, navigation, an iPod/USB interface, Pandora compatibility, a 360-watt premium audio system and more! 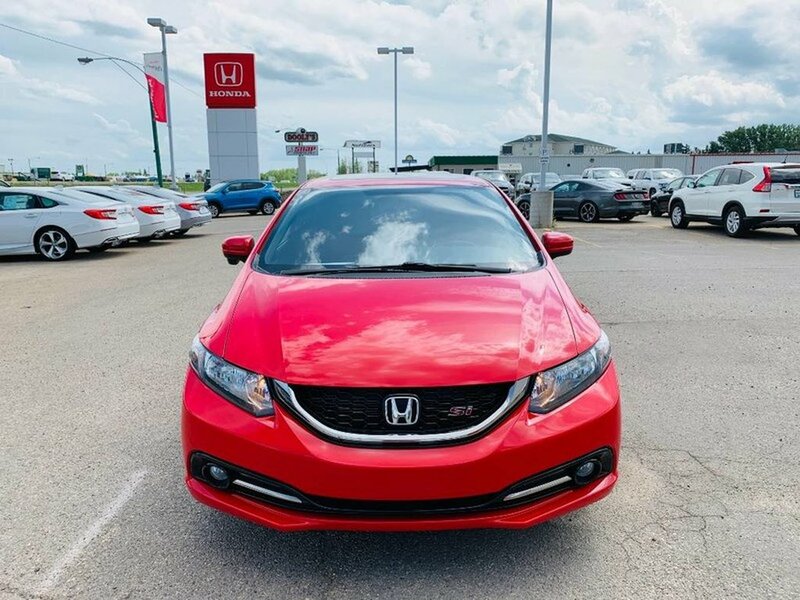 Rekindle your love of performance-oriented driving while knowing you and your precious cargo will be kept safely out of harm's way with ACE body structure, smart anti-lock brakes, and advanced airbags. 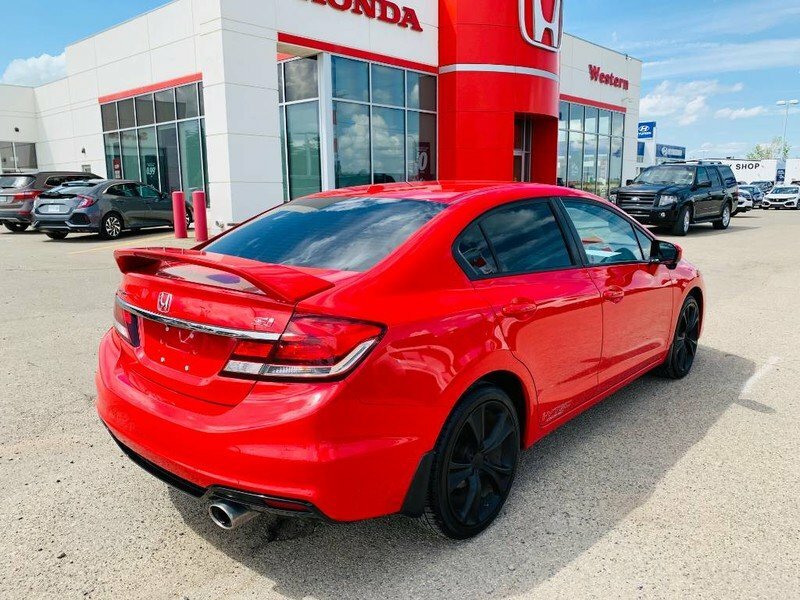 You know you love to drive, so get behind the wheel and reward yourself with this sedan today.